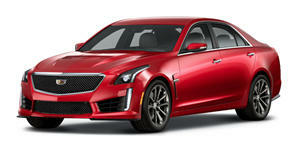 The Californian-based Cadillac tuning specialist has returned with another track-ready Cadillac CTS-V.
D3 Cadillac is following their CTS-V Patriot Missile project with the Night Hawk, named after a top secret aircraft built in the seventies that utilized stealth technology to cloak it from enemy radar. The car started life as the Bolt on Racer by D3 Cadillac and after intensive modifications was transformed into the D3 Night Hawk. First, a new K3 Variant 3 coilover system was installed in order that the suspension can be adjusted for different race tracks. Next came a sway bar kit, end links, chassis bracing, adjustable end links and upgraded brake rotors, pads and lines. The supercharged 6.2-liter V8 engine was then upgraded with the same D3 Stage 4 Tune Power Kit used in the Patriot Missile. But not before upgrading the cooling systems via an all-aluminum competition radiator, an Ultracooler, Intercooler system, a new transmission cooler and Differential Cooler. The engine was given more power via a series of upgrades including a totally overhauled exhaust system, and a remapped ECU with the result being 700hp and 700lb-ft of torque. As per the Lockhead F-117, the D3 Night Hawk has a stealthy black paint scheme and sharp aerodynamics consisting of a front lip splitter, rear diffuser and rear wing spoiler. Matte black adorns the side panels and doors, while the hood, roof and sections of the rear have a glossy black finish. While its sibling, the D3 Patriot Missle competes in the 2012 Cadillac Challenge on the East Coast, the Night Hawk will go to war in the same series on the West Coast. Check out the video that shows the pair of mighty Cadillacs competing at the Auto Club Speedway and Cuckwalla Valley Raceway.